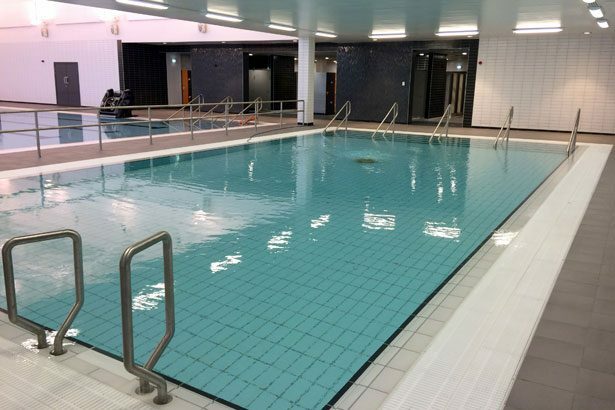 The recently opened Graves Tennis and Leisure Centre will be the HQ for the National Centre for Sport and Exercise Medicine (NCSEM) – a 2012 Olympic Legacy project funded by the Department of Health – with extensive provision for health consultation, specialist treatment services and research facilities. NCSEM aims to promote the benefits of sport, exercise and physical activity to sufferers of chronic diseases and to reduce their impact on the NHS. The £16m development has been built on the site of the current Graves tennis and leisure centre in the south of the city. It includes a 25-metre six-lane swimming pool, a separate learner pool, a major new fitness suite and studios, two additional indoor tennis courts and the city’s first-ever dedicated gymnastics and trampoline centre. Sport England has invested £2.75 million of National Lottery funding from its Iconic Facilities Fund towards the building of the new centre as well as working closely with the project team to provide detailed advice and support on the development of the plans. F T Leisure supplied, installed and commissioned the water treatment and filtration systems. The filtration system is medium rate sand filtration and the water treatment consists of chlorine for disinfection, pH control and UV sterilisation. The main contractor was Bam Construction and the architect was Darnton B3 Architects. Places for People has been appointed to operate the multi-million pound development; the company already operates more than 100 leisure centres across the country and has been UK Leisure Operator of the Year for the past two years.